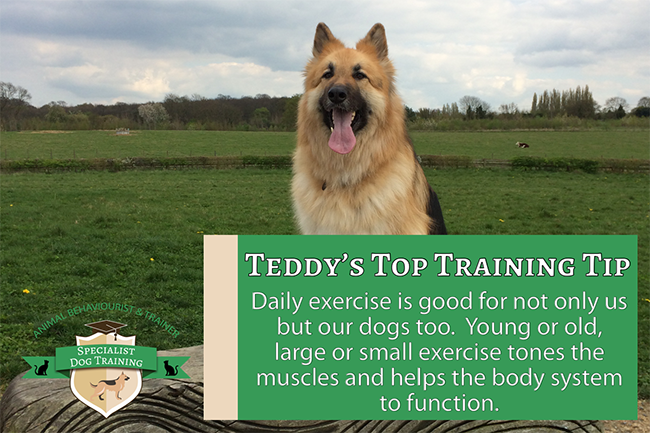 Teddy’s Top Training Tip: Daily exercise is good for not only us but our dogs too. Young or old, large or small exercise tones the muscles and helps the body system to function. Daily exercise is good for not only us but our dogs too. Young or old, large or small exercise tones the muscles and helps the body system to function. Tip 1: It keeps us healthy and exercise is good for everyone as it can keep us supple and agile. It helps to keep an older dog’s joints, ligaments and muscles strong and supple. No matter what age the dog is, they will all enjoy a walk (please check with your vet regarding the type of exercise for your dog). Tip 2: We can all feel a little overweight at times, however aside from nutrition daily exercise can keep us and them healthy too and helps with weight control. Tip 3: Exercise and movement helps to keep a good digestive system in order and this includes good bowel movement. 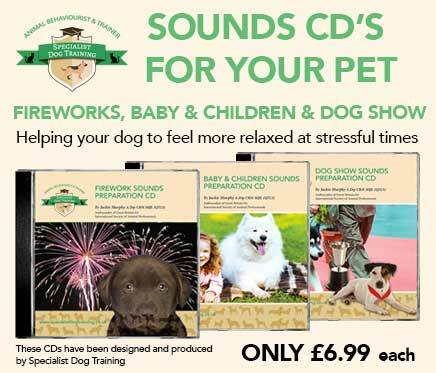 Tip 4: Young or old it can boost your dog’s mood and more importantly improves the quality of life (not only for our dogs but also for us their owners too). Tip 5: Exercise keeps us owners fit too, and a varied walk can help with mental stimulation with new sniffs and smells to use that all important nose! Tip 6: Daily exercise is good to help our dogs feel more relaxed, which helps with sleeping/resting. Tip 7: Daily exercise is good to calm that excess and pent-up energy and help with promoting calm and relax behaviour. Tip 8: Exercise and walks can help with reducing destructive behaviour such as digging and chewing. Daily exercise gives structure to their day. Tip 9: Daily exercise and regular walks is an important part in the bond you share with your dog and the type of relationship you have with your dog. Tip 10: Daily exercise and regular walks are fun and there are lots of different places to visit to build up social contact with other doggy friends and builds confidence with you and your dog. Remember that regular exercise that is both gentle and appropriate for the age, size and breed of your dog can be fun and enjoyed by all.